French champion Eric Loizeau and Estonian solo circumnavigator Uka Randmaa are the latest entrants to set their sights on winning the 2018 Golden Globe yacht race. They made their announcements at the event’s first competitor conference, held at the Little Ship Club, London this week. Four more potential competitors: Graham Applin (52) from Addlestone, Surrey, UK; Francesco Cappelletti (37) from Montevarchi, Italy; Loïc Lepage (59) from France and an anonymous entrant from New Zealand, now brings the number who have paid the initial A$3,000 entry fee to 30. Other entrants hail from America, Austria, Australia, Brazil, France, Ireland, Italy, Norway, Palestine, Russia Switzerland and UK. The 2018 Golden Globe Race (GGR) will be sailed under the auspices of the Royal Nomuka Yacht Club in the Kingdom of Tonga. His Royal Highness, Crown Prince Tupouto’a Ulukalala has agreed to become Patron of the Race, and Sione Sonata Topou, the Tongan High Commissioner in London attended the GGR Conference. 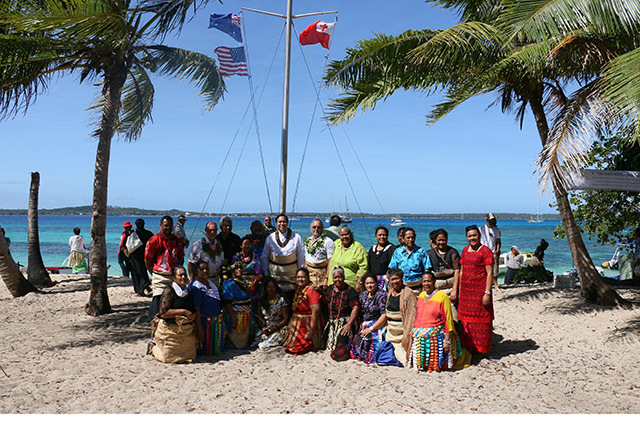 Race founder Don McIntyre has close links with these Pacific islands. 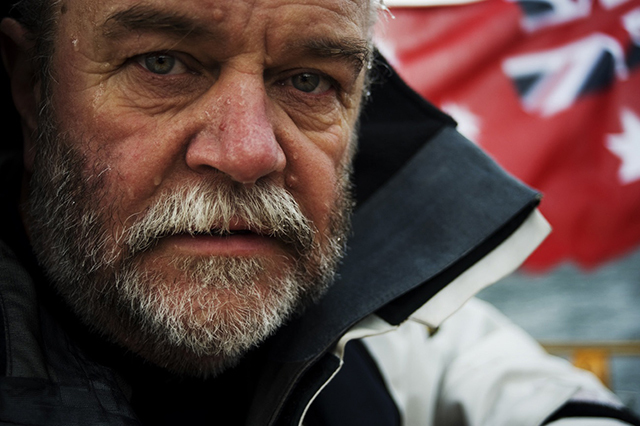 In 2012 the Australian adventurer led a four-man re-enactment of the Mutiny of the Bounty voyage from Tonga to West Timor, in a similar boat and with same limited supplies available to Captain Bligh 221 years before. 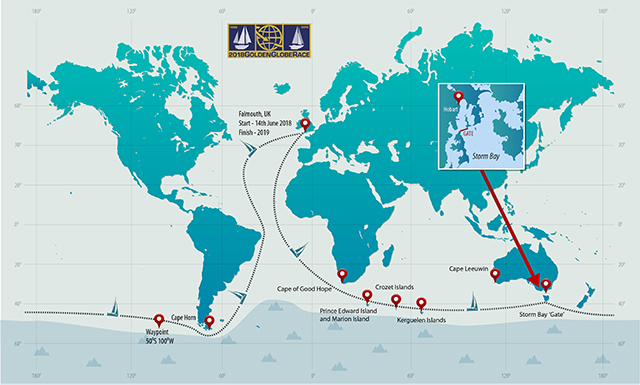 Falmouth has been confirmed as the start and finish point for the 2018 Golden Globe Race, where Sir Robin Knox-Johnston set out and completed his pioneering voyage back in 1968/9. That means sailing without modern technology or benefit of satellite based navigation aids. Competitors must sail in production boats between 32ft and 36ft overall (9.75 â 10.97m) designed prior to 1988 and having a full-length keel with rudder attached to their trailing edge. These yachts will be heavily built, strong and steady, similar in concept to Robin’s 32ft vessel Suhaili. This anniversary edition of the Golden Globe Race is a celebration of the original event, the winner, his boat and that significant world-first achievement. Competitors in this race will be sailing simple boats using basic equipment to guarantee a satisfying and personal experience. The challenge is pure and very raw, placing the adventure ahead of winning at all costs. It is for ‘those who dare’, just as it was for Knox-Johnston. They will be navigating with sextant on paper charts, without electronic instruments or autopilots. They will handâwrite their logs and determine the weather for themselves. Only occasionally will they talk to loved ones and the outside world when long-range high frequency and ham radios allow. For these 25 sailors, this marks the initial stage towards completing all the entry requirements, which include gaining further sailing experience and preparing their boat to meet all the qualifications. Only when these hoops have been jumped will the provisional entrant become an official entry in the Race. Just prior to the start when final scrutineering and certification has been completed, will the sailor and boat together become an official competitor. Then and only then are they absolutely assured of starting in the Golden Globe Race. Prior to this, should any sailor miss a deadline, they may be relegated to the Golden Globe Race Wait list and the first Qualified Wait listed sailor will move into that vacated entry position. There will only be a maximum of 15 on this list. It is the last chance. The organisers expect some of the current provisional entries will not make it to the start line. That is the way with history for any great endeavour, but when one drops out, this gives a chance for another to join. In addition, five Special Invitations will be offered to deserving sailors nearer to the start. The first of these has been awarded to French yachtsman Eric Loizeau. Those still on the wait list will be remembered closer to the start. We may eventually see a fleet of 30 sailors set out from Falmouth on June 14 2018.